The right window well design for your home can maximize light, leading to a more hospitable home and lower electricity bills. Depending on the placement of your window wells, as well as their design, you can either usher in more light or waste a perfectly good opportunity. Commonly, window wells lead into basement windows — an area of the home that’s in desperate need of more natural light. 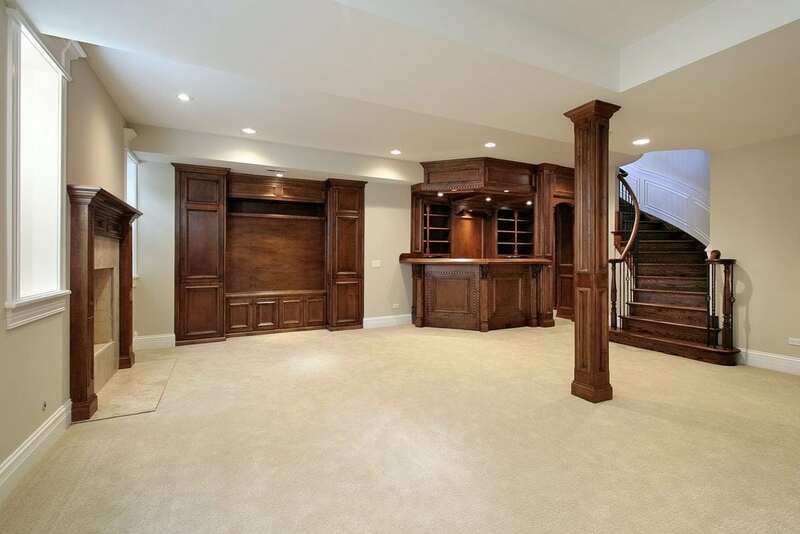 Home buyers are actively looking for finished basements that can serve as guest quarters, rec rooms, man caves and more. It can take up to $40,000 to finish a basement, according to HGTV experts, so one complete with ample window wells is a hot commodity. A window well design is partly dictated by the location and shape of the area. For example, east-facing basement windows can be flooded with morning light if the design allows for maximum exposure. That’s a great thing for morning people or someone who’s cold blooded. If you prefer romantic sunset views from your basement office, choosing a more expansive window well design on a west-facing window is ideal. Window well coverings come in two basic types: grates and clear covers. Both have pros and cons, depending on what you’re looking for. Clear covers are, of course, clear, but also need to have debris kept off of them to optimize light. Grates don’t have that issue, but debris can gather in the window well itself, and grates with thicker bars can block the sunlight — or allow for a striped pattern indoors. Both coverings require routine maintenance, at the very least cleaning out debris, so there’s no maintenance-free solution (just like every other part of your home). If it’s light you’re after, going with a clear cover is a fantastic option as long as you consider your landscape. If the window well is close to a tree with falling leaves or another debris creator, you’ll have your work cut out for you. On the other hand, a gorgeous kaleidoscope of a pattern created by sunlight and leaves might be exactly what you’re after. Check out the room at various points during the day to see what kind of light you’re getting and how a window well covering might change it. Window well liners can also play a big role in natural light. Dark colors will darken a room while lighter colors will brighten it. Many homeowners choose a window well liner that complements their home, but the reality is that a window well liner isn’t going to be seen from outside the house. It will be seen only from indoors, which means nobody is going to be comparing how well it matches the property’s exterior. Choose a liner you find beautiful, and that offers the right color to reflect the light you want. Natural light isn’t just a money saver: It’s also full of Vitamin D that can give you energy. It’s gentler on the eyes, especially when filtered via a window well liner and not shining directly in your face. For all your window well design needs, contact Windowell Expressions for expert guidance and competitive prices. This entry was posted in Blog and tagged Natural Light, Window Well Clear Covers, Window Well Covers, Window Well Custom Grates, Window Well Foundation Liners, Window Well Lighting, Window Well Liners, Window Well Standard Grates on July 20, 2015 by admin. When constructing basement window wells, selecting the material to hold the well’s shape requires research. Many different types of window wells are appropriate for specific climates and home designs. This guide explains the benefits and drawbacks of each and illustrates how a customized liner can round out the aesthetic appeal of basement window wells. Pressure-treated wood is a good option, due to its attractive look. The wood type and finish can be matched to existing trim on the home. The wood can be positioned in a traditional stacked formation or cut to a specific design pattern. The drawback to using wood is its potential for rot. Moisture in the soil will eventually weaken the wood and it will require replacement. 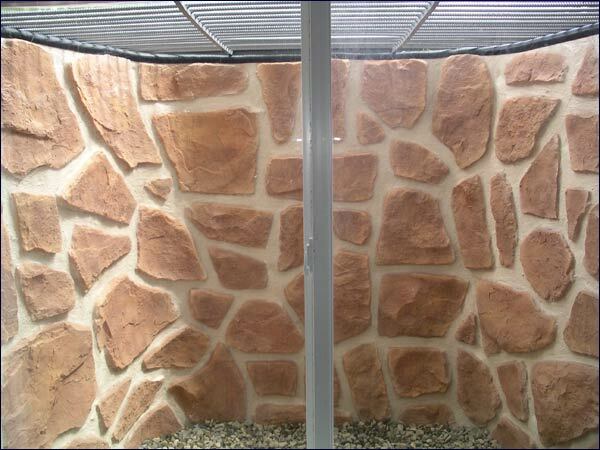 Poured or block cement and concrete creates window wells with a clean, finished appearance. Cement is strong and durable as well as affordable. However, as with wood, the permeability of concrete weakens with long-term moisture exposure. The blocks may begin to crumble with age, requiring touch-ups to maintain firmness. Galvanized steel is the most common material chosen to round out a window well. Metal wells are sold pre-fabricated and are bolted onto the side of the home. Metal is likely to last the longest, withstanding extreme heat, cold and all forms of precipitation. Steel wells are impervious to leaks and match any home exterior. Composite plastic material is another water-repellent material with enough strength to create a long-lasting window well. Plastic products are often pre-made and may come with an attractive liner already in place. Masonry brick work can be utilized to create a well that fits with the brick exterior of a classic home. Customized brick or stone gives a charming appearance while featuring resiliency and sturdiness. Once the window well itself is in place, selecting a liner to complement the interior is essential. While the actual window well construction should focus on permanence and stability, the final liner is what you will view each day. Custom liners can be manufactured to fit any window well size. They normally portray realistic, three dimensional stone work, giving the well a high-class, sophisticated finish. The liners come in many shades, and homeowners can pick the product that best coordinates with the interior room’s décor. Once the liner is selected, choose a clear cover to finish out your window well. Covers let in light, illuminating the fashionable liner while blocking rain and snow from building up inside the hole. Do you have a basement window needing professional repair or attention? Contact Windowell Expressions for a consultation on how the team can fortify your existing window well or create a new one, and outfit it with a stylish liner and cover to increase the safety and beauty of your home. This entry was posted in Blog and tagged replace window well, Types of Window Wells, Window Well Clear Covers, Window Well Covers, Window Well Custom Grates, Window Well Foundation Liners, Window Well Liners, Window Well Standard Grates on July 13, 2015 by admin. Basement fire hazards pose a serious risk to homes across the country. Basements commonly house many gas and electric-powered appliances, and it is the primary place homeowners store flammable materials such as paint or gasoline. Cutting down the risk of a basement fire is important, especially if the space is used as a regular living area. Following are steps to take to fireproof your basement and lower the chance of property damage and bodily harm. Remove stacks of newspaper, cardboard boxes and other fire-feeding combustibles from the basement and recycle them. 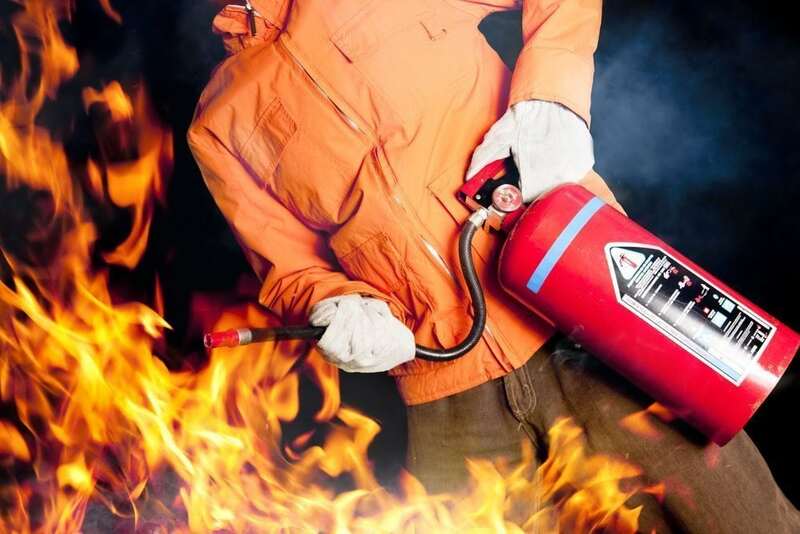 If a fire starts, this material will contribute to flame growth and will be an obstacle for people who are attempting to exit the space quickly. At the very least, move all wood and paper away from burners and appliances to minimize the risk of sparks starting a fire. Unfinished basements may have only one exit – a set of wooden stairs leading to the upper level. If a fire begins in the basement and engulfs the stairs, the inhabitants have no way to escape. Here is a sensible solution: excavate and create accessible egress windows so people can exit through the window well. In many regions with strict building codes, this fire safety measure is required. In other places, egress windows and window wells are only essential when bedrooms are in the basement. No matter what the building code mandates, homeowners with accessible window wells can rest easy knowing they have another exit from their lowest level. Whenever possible, recycle paints and varnish rather than keeping them in the basement. If they must be stored in the lower level, lock them in a metal, fire-safe cabinet with the lids tightly secured. This will reduce the risk of fire as well as keep children and animals protected from the harmful chemicals. If your basement does not currently have smoke or carbon monoxide detectors, install them immediately. Check each device periodically to ensure it is in working order and replace batteries regularly. In 2010, the National Fire Protection Association reported that 40 percent of fatal home fires occurred in residences with no smoke alarms. You can save lives with this fast installation. For gas-powered water heaters and furnaces, make sure no flammable materials are located in or around the pilot light. Schedule regular cleaning and maintenance of each so any malfunctions are repaired promptly. Check the wiring on laundry machines and look for rubber-stripped exposed metal. Replace dated electrical wires immediately to protect against sparks. Clean debris out of the chimney flue trap if it leads to the basement. One of the most important aspects of fire safety is prevention, but homeowners may not always have complete control if this, as in cases of external factors like when a wildfire may cause a house fire. In all circumstances, leaving the property quickly is the main goal. Contact Windowell Expressions for installation of fire-safe window wells guaranteed to provide a swift exit option in the event of a basement fire. This entry was posted in Blog and tagged Basement Fire Prevention, Window Well Clear Covers, Window Well Covers, Window Well Custom Grates, Window Well Foundation Liners, Window Well Liners, Window Well Standard Grates on July 7, 2015 by admin.